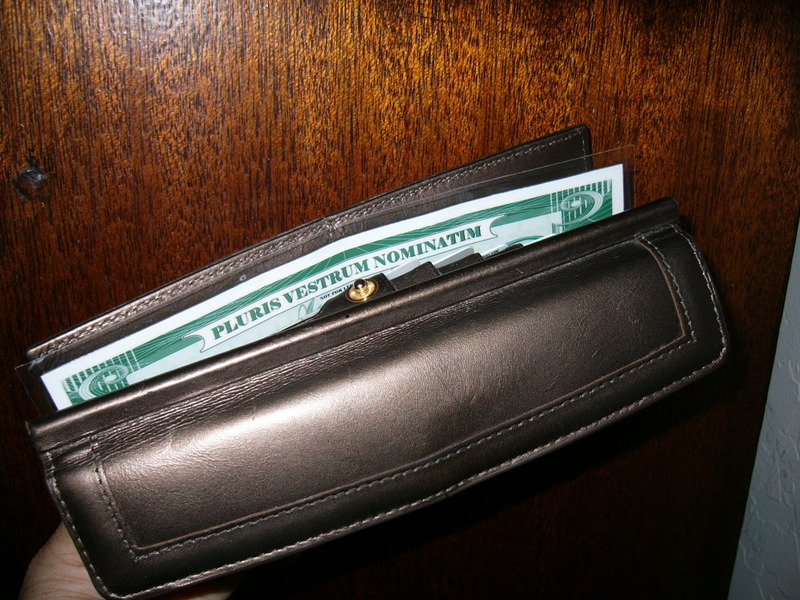 The Armadillo Dollar(R) Original single is 7 1/8″ wide by 2 7/8″ high and fits into most bi-fold and tri-fold wallets. 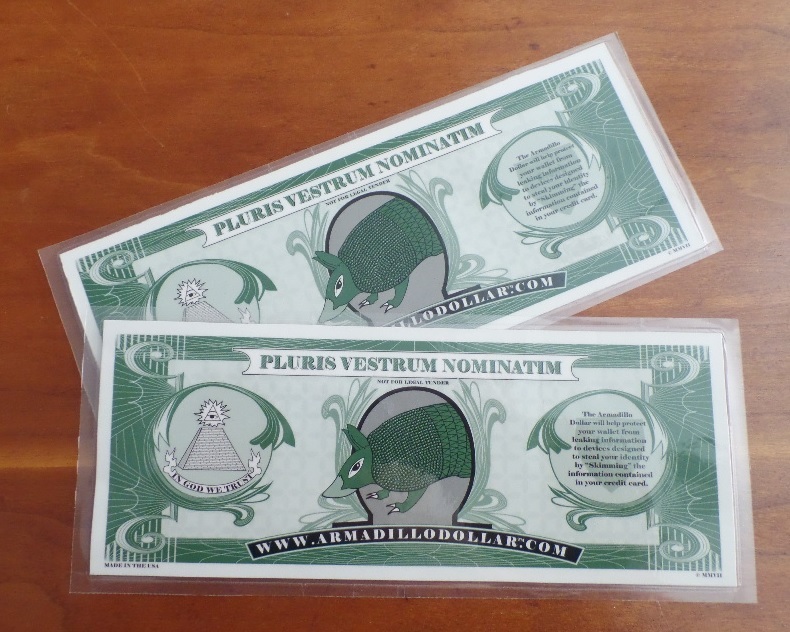 We have maximized the surface area of the Armadillo Dollar to protect you., so the surface area is about 25% larger than a standard US Dollar bill. 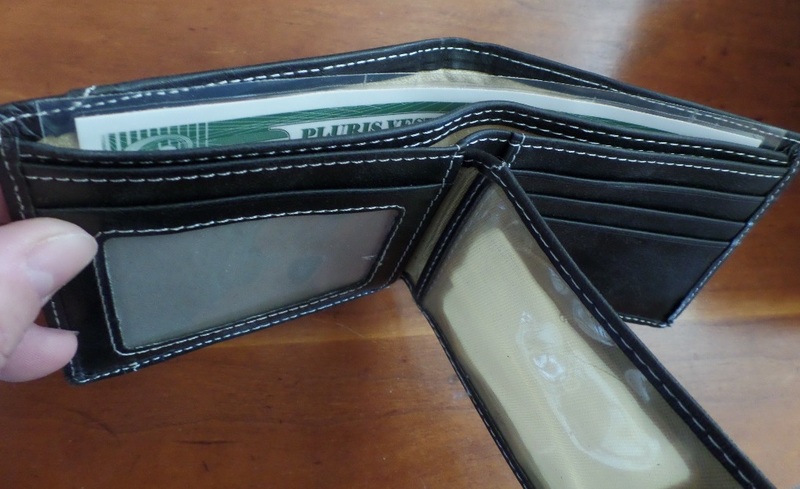 When you fold your wallet, the rfid protection is in its most protective form. Clutch not included with order. This offer has two rfid Armadillo Dollar shields for a great price of $24.95 with Free Shipping.